I have read most books on weight loss that are available and have combined my ideas with other ideas that I know work to give you my eight secrets to lose weight. Only eat low Glycemic Load foods – click for list. This will control blood sugar and insulin levels and is a key factor to weight loss. Eat fresh vegetables, beans, lentils, whole grains, brown basmati rice, and rye bread, pumpernickel bread, spelt bread, oats, chicken, turkey and fish. Avoid all refined foods (white flour), fruit juices and sweets. Combine low GL (Glycemic load) foods with protein. This will reduce hunger and the tendency to store fat. Remember it is protein that makes you feel full and a high protein snack will increase your metabolic rate. Eat slowly – it takes 20 minutes for your brain and stomach to communicate. Eat slower and consume fewer kilojoules. Increase essential fats, reduce long chain saturated fats and cut out all transfats. Eat omega 3 fish 3 times a week and eat flax seeds. Omega 3 oils will help with insulin resistance. Have olive oil as a salad dressing or have it in your soup – but have 5ml daily. Cut stimulants out of your diet: sugar, coffee, tea, chocolate, cigarettes and alcohol. All of the above will disturb your blood sugar and can enhance weight gain. Eat three meals a day and snack with apples, pears, berries and almonds – never go without food for longer than 3-4 hours. Food allergies – one in two people have food allergies – get tested and eat on a four day rotation basis. Replace ordinary salt with Herbamore, Koisan or Himalayan salts. 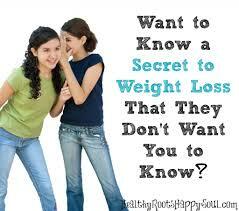 If you are not going to lose weight, you will become chronically ill at some point in time. Your health is priceless and the rest you can buy with Visa. Treasure your health whilst you have it and you can make improvements. Lifestyle Clinic offers natural solutions for those who want to lose weight and improve their health. Are you ready to move into the zone of optimal health?